Who wins and who loses from the POC tax? 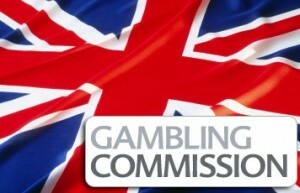 On November 12, the House of Commons reviewed the Gambling Bill for the second time in the United Kingdom. If the bill passes, it can have some pretty big consequences on the gambling industry in Europe, and since some of the big operators in the UK are now entering the US market, the effects will be global. The Gambling Bill aims to solve a taxation problem for online gaming in the UK by introducing a point of consumption regulation. Right now, foreign operators can offer their services to UK residents and not be taxed by the authorities since they are not licensed in the market. The point of consumption tax will make sure that all online gambling operators accepting UK players will have to be licensed and taxed in the country. This in turn makes it more difficult for operators since they have to apply for a license from the Gambling Commission and they will also have to pay a tax on remote gambling profits, which is now proposed at 15%. The new regulations will take to effect on December 1, 2014, and those that fail to comply with the new laws will suffer fines and even license withdrawal. The introduction of the point of consumption tax is expected to have wide consequences for customers, operators and existing regulators. The new tax is likely to help large operators get even bigger and get a bigger share of the market, while the smaller operators are more likely to struggle. The online gambling industry in the UK is huge and it has grown significantly over the past five years. This attracted new companies to the market and smaller operators looking to get a share of the pie, but with the new tax now one year away, tough times are waiting ahead. While most operators opposed the change at first, it now seems that the large operators are coming around to the idea. According to recent reports, the POC tax can actually increase the revenues and the market share of the gambling operators which have already established themselves as leaders in the market. The cost of obtaining new licenses will discourage some of the smaller and less-known operators, thus creating more room for the big ones to grow. Gibraltar has been a tax haven for various companies over the years. It offers the benefit of allowing operators to advertise in the UK and has been one of the preferred jurisdictions for the big players, like Ladbrokes and William Hill. The POC tax will most likely chance that a bit and it will increase the tensions between Spain and Britain for the territory, which are already quite high due to fishing rights. While Gibraltar initially considered challenging the Bill legally given the thousands of people employed in the iGaming industry, the Chief Minister has recently announced that it will not take any legal action. While the POC tax will affect a lot of operators, it is probably the customer who will get the worst deal. The reduced competition in the market is never a good thing for customers since this can mean less options to choose from and also more expensive services. If only a few operators end up dominating the market, they will be less motivated to give special benefits to their players. Right now, the smaller operators tend to have the best deals since they can’t compete with the huge marketing campaigns but can offer more benefits for players.